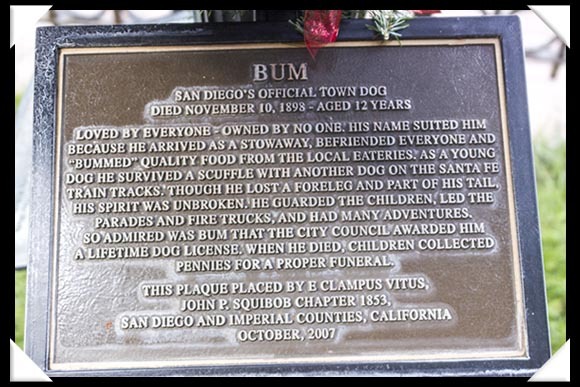 Interesting blog about Greyfriars Bobby and a dog from San Diego called Bum. 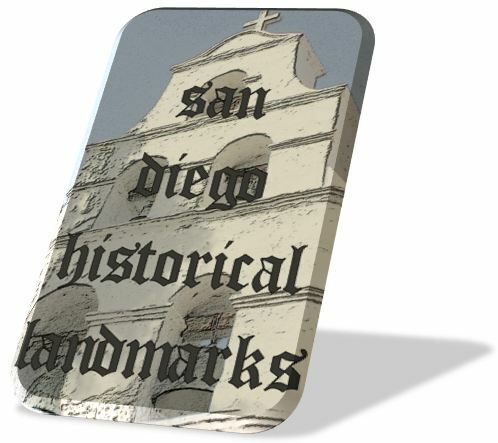 I made it to the Gaslamp Museum this morning for a tour of the interior of the Davis-Horton House (see The Davis-Horton House). 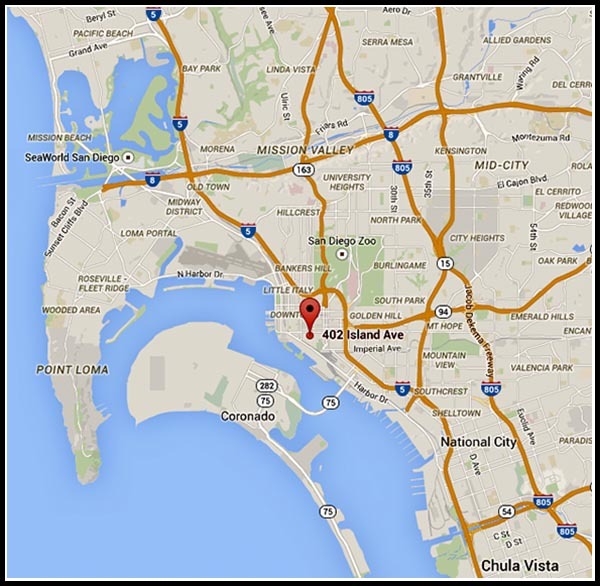 There is a small park next to the Museum, and you have to go through the park to get to the Museum. The park opened about 30 minutes earlier than the Museum. 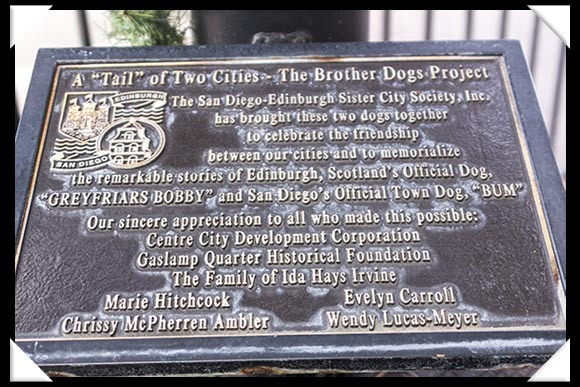 I walked around the park and found some fascinating information about “The Brother Dogs Project” a “tail” of two cities and two dogs—Greyfriars Bobby, the official dog of Edinburgh, Scotland, and San Diego’s Official Town Dog, Bum. 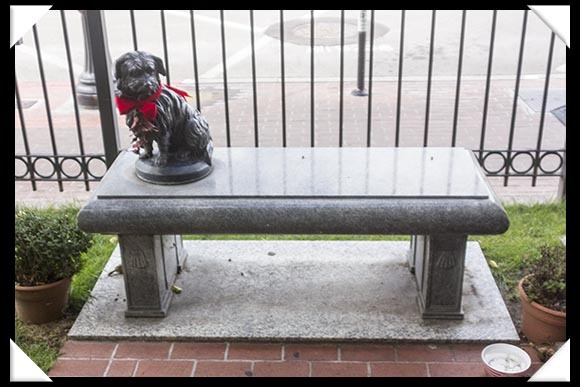 Greyfriars Bobby was a Skye Terrier which became known in 19th-century Edinburgh for supposedly spending 14 years guarding the grave of his owner until his own death on January 14, 1872. 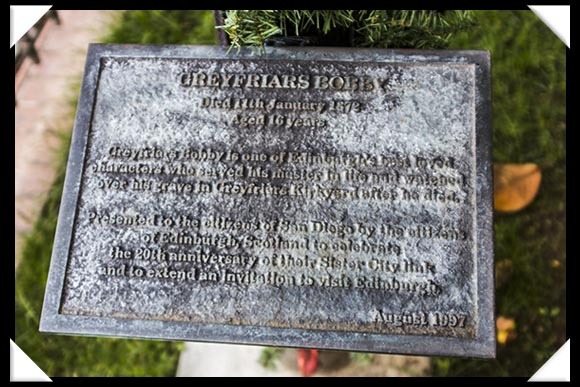 Interestingly, Greyfriars Bobby has a Wikipedia entry: Greyfriars Bobby.